I was trying to say that the damage to the tips of the teeth of the ring gear has been caused by the starter pinion already rotating at considerable speed when it tries to engage the ring gear teeth, rather than engaging fully before rotating with full power. Sorry the pictures aren't clearer - not the easiest place to photograph, but damage is limited to the teeth tips and no issues running with the Lucas starter. I referred to inertia starters as they spin before and during tooth engagement, hence the need to have a minimum gap between the pinion and the ring gear to limit the damage inevitably caused to the teeth on engagement. Inertia starter motors are not really any more likely to damage the ring gear than the pre-engaged type as long as they are working properly. The teeth of the pinions are shaped to mesh properly with the ring gear no matter where they are relative to each other when they come into contact. I think the problem with the high torque starters being sold for classic cars is that they aren't really designed for them. That ring gear probably got mashed up because the starter motor pinion does not have an exact tooth pitch match to the flywheel's ring gear. A friend of mine has just experienced exactly the same problem on his 1967 Porsche 911 ring gear. I’ve got an early V12, fitted with what appears to be the same starter as in the posts, although I got mine from British starters.com in the US. The starter has been on for 10 years with no problems. It is a close fit but does not touch anywhere. I pulled the engine for a rebuild a year ago, the starter and ring gear were perfect. The problem Bob had with his may be due to some other issue with his particular starter. It’s easy enough to check the flywheel teeth if you remove the inspection plate on the bottom of the bellhousing. What a pain it would be to open it up and see that sort of damage. My car has a manual gearbox, but I wouldn’t think that makes a difference to the distance of the flywheel to the starter. Thought I'd just post an update on the starter motor situation. I was under the car at the weekend and checked the Flywheel Ring teeth through the little inspection aperture on the bottom of the housing, and the condition is perfect with no signs of any interference/binding etc. which I was relieved by, given above observations and experiences - although of course it is early days. The motor is a joy and whizzes the engine into life at such a speed it takes a bit of getting used to! On another note - I got everything sorted just in time for our camping weekend with the families from our daughters' school. 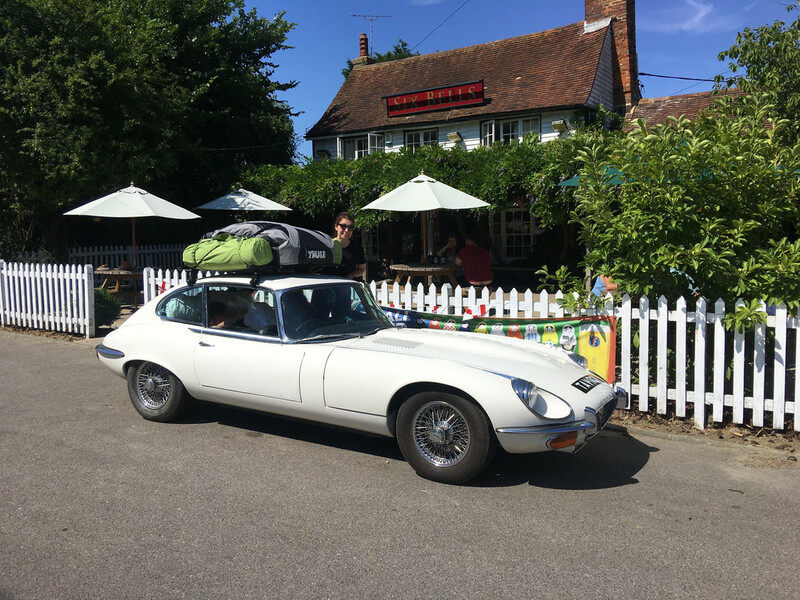 Went proper old-school with roof rack etc - No one could believe just how we managed to get an 8 man tent + chairs, cooker,mattresses, food, sleeping bags plus 2 kids etc etc into such a car. Spent most of the weekend opening the bonnet and showing the other dads round the car.......which of course was the best part of the weekend!! 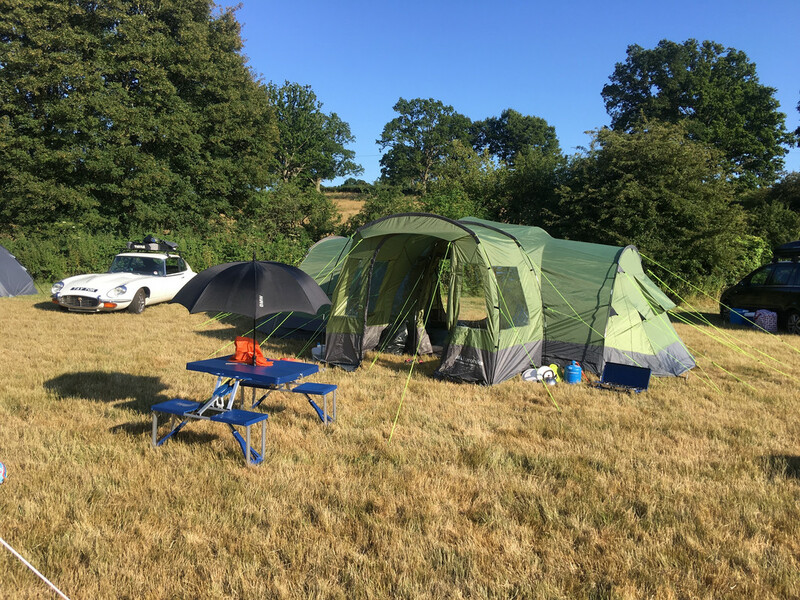 Went proper old-school with roof rack etc - No one could believe just how we managed to get an 8 man tent + chairs, cooker,mattresses, food, sleeping bags plus 2 kids etc etc into such a car. Frikken awesome Hilton!!! That's how to enjoy one's escalating asset!! I liked the Seventies-ness of it......reminded me of loading stuff up in my dad's XJ6 in the early 70's and setting off on our annual family holiday. Always a big adventure.